After running our private Bugcrowd security bounty program for testing purposes, we are finally ready to open the program to everyone. 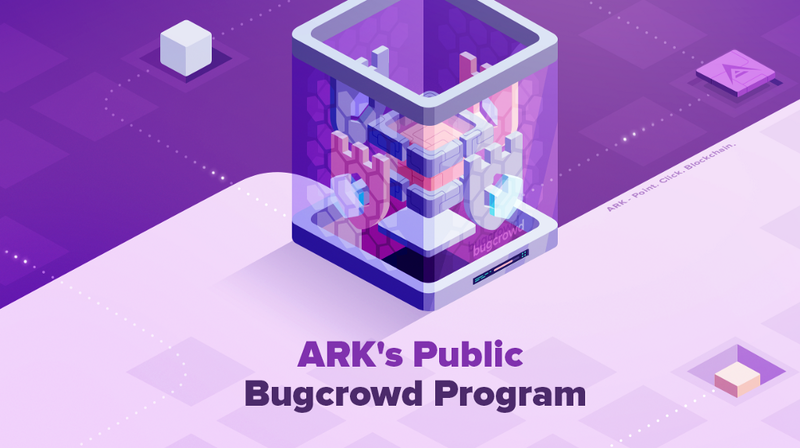 Opening up the Bugcrowd program to the public has the potential to put over 100,000 eyes on the ARK core codebase. Making our already running GitHub bounty program even stronger. The Bugcrowd platform has proven itself time and again with helping companies such as Netflix, Binance, Netgear, Motorola, Digital Ocean, Tesla and many more. In both cases the limit parameter could be overridden causing the server side to do additional work, thus introducing a possible Application Denial of Service Attack. Both endpoints were closed and fixed during the v2.0.x upgrades. We invite all security researchers and penetration testers to check our Security Vulnerabilities repository, where you can learn about recent issues and use it as a starting point to grab some ideas and come up with new testing strategies. In order to start testing you can read up on our Core and use our Development Network, which as the name suggests is a testing and development ground to play on.